Welcome to the TIME TUNNEL... a very extraordinary amusement parkride! 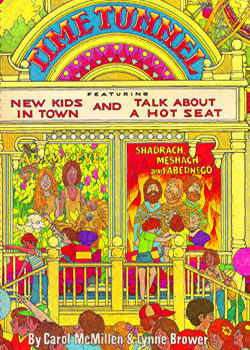 Come and ride with us to ancient Babylon where we'll see old King "Neb" and Shadrach, Mesach, and Abednego... or how about going back to the Eden Garden Zoo to meet Adam and Eve (and their friends")? It's fun to say! It's even more fun to sing! 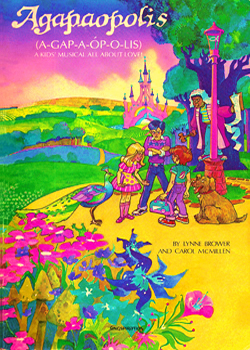 It's a place (imaginary, that is) where a little boy named Christopher goes to find LOVE. 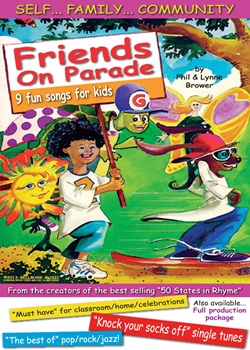 "Friends on Parade" is a fun collection of songs as well as puzzles, think sheets, and other activities which relate to the music. “Two nights before Christmas and all through the toy shop, not a creature was stirring” … nothing that is, except the toys that come to life !! 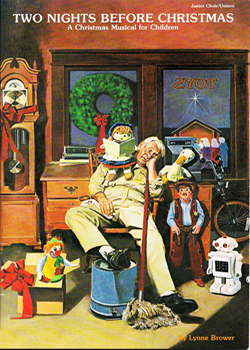 You see, the grumpy ole cleaning man (who doesn’t like Christmas anyway) falls fast asleep in the rocking chair, and begins to dream, never suspecting that he will soon be treated to a Christmas that will change his life forever! 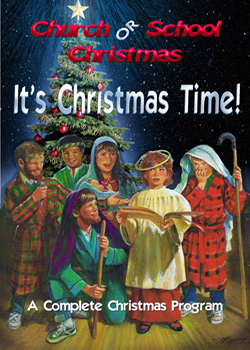 Presenting "It's Christmas Time," an all newly-orchestrated children’s “Christmas" program for K-6. This joyful “Christmas" celebration - for school OR church - is designed to meet your various needs for a memorable presentation by children of ALL ages. It’s beautiful and spirited music (traditional AND new, all styles AND forms), promises to delight child and audience alike. 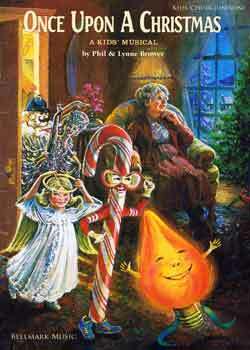 Its full script describing the wonder of Christmas was written especially to encourage participation by all elementary grades. Many helpful options are provided, such as instrumental “Processionals" and “Recessionals" (for timely entrances/exits of younger choirs - if desired).